Last night I made our favorite black bean & green chili chicken soup for the first time in about a year. It’s the one recipe that always makes me pull out the cast iron pot instead of a cheap lightweight non-stick variety. Doing so reminded me of why I really enjoy cooking with cast iron (and should probably do more of it). Aside from the pot or pan being so heavy that it simply won’t move around on the stovetop, it retains heat amazingly well. Once it has heated it up, it just stays hot. You can add 32 ounces of room temperature chicken broth and it’s up to a boil in just a few minutes. Similarly, if you’re just starting a recipe by browning up some garlic and onion, you’ll be amazed at how quickly and evenly things cook up without having to raise the heat. The only real downside is cleanup. You can’t just put the cast iron in a dishwasher–you’ve got to clean it by hand. But I think the trade-off is totally worth it. 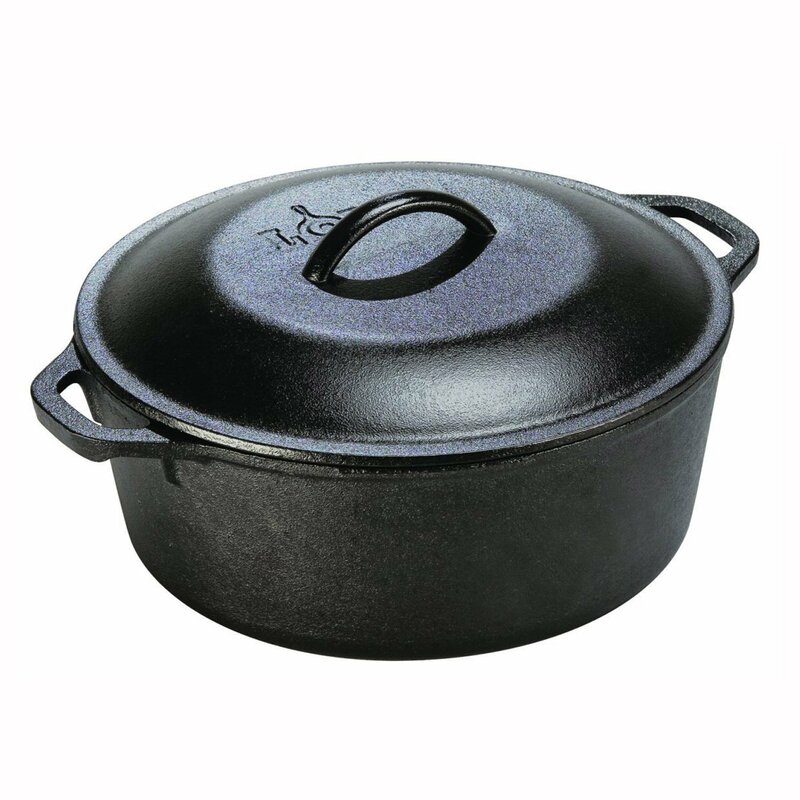 Food just tastes better when prepared in cast iron, and you know the pot/pan/skillet is going to outlive its non-sick counterparts by at least 40 or 50 years. About 2x a year we run the “clean” cycle on our over, and put the cast iron and pizza stones in, too – wipe out with a paper towel when it finishes, and you’re ready to reseason and cook again.